Only 4% of Irish women say they're 'avid' fans of sport - so what's it like being a female sports nut? We had a big summer of sports there, didn’t we? 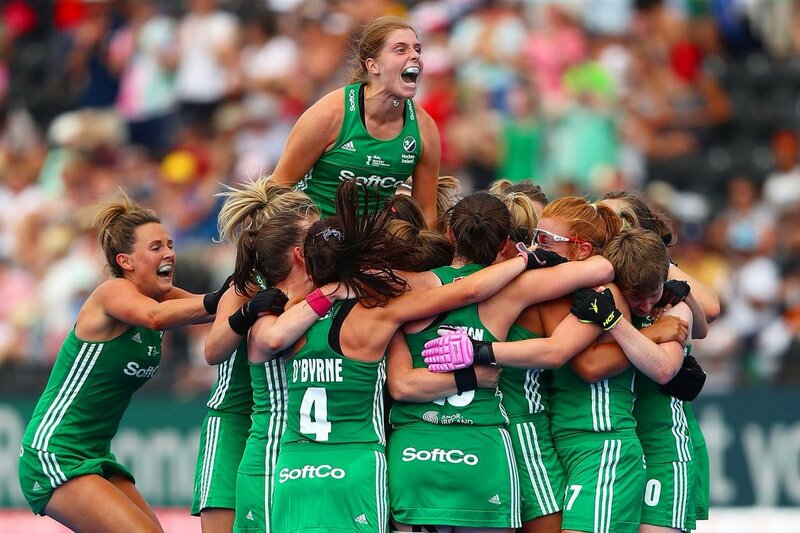 Between the World Cup, football and hurling All-Ireland finals, and the rise of women’s hockey, it seems like watching ball/pucks/various other pieces of sporting equipment dominated the sweaty season for many of us Irish girlos. Or did it? According to the 2016 Sports and Sponsorship Sentiment Index, produced by PSG Sponsorship, gals who were glued to the telly or roaring on the sidelines would be in the minority. You see, the study reckons Irish women are far less enthused about sports than the lads. While 63% of men claim to be avid sports fans, only 4% of women admitted to the same level of interest. Plus, three times as many women as men claim to “have no interest” in sport at all. Yikes. So if sport is so fantastic it can inspire such dedication, why are so few Irish ladies parading around town in their team colours? Maybe it’s due to the fact the even for fans as passionate as Niamh and Orlagh, women sometimes still feel that the world of sports is a boy’s club. If you’ve ever had an uncle accuse you of only watching the hurling for the good-looking lads in shorts, or a guy in the pub demand you name five players when you confess to being a fan of the Offaly football team, you’re not alone. Despite being a skilled player herself, Orlagh admits that she sometimes feels her opinion isn’t taken as seriously as a man’s, especially if she’s commenting on a men’s game. The good news is, things are changing on our little island. The girls here won’t be deterred. In fact, we’re taking it one step further. Jackie Cahill of the Ladies Gaelic Football Association (LGFA) cites the likes of the Irish women’s hockey team reaching the World Cup final and a “world record attendance for a stand-alone female sporting event at the TG4 All-Ireland Ladies Football Finals” as evidence that women’s sport is steadily growing in Ireland. If you’re a female fan who wants to follow in the footsteps of these awe-inspiring players and lace up, it’s now easier than ever. When Orlagh started playing Gaelic in primary school, she had to join the boys’ team after discovering there wasn’t one for the girls. Now, things have changed. “Soon after I started playing, demand followed and eventually they set up a girls’ team,” Orlagh says. And demand there is. The LGFA currently has almost 19,000 members, approximately 1400 clubs around the country, and many programs encouraging girls to pick up a ball and get on the field. While there may still be less female sports fans in Ireland than male ones, Jackie reckons that the figure of only 4% of women calling themselves ‘avid’ supporters in 2016 has risen. And sure, women still face backlash for showing an interest in something that’s been considered a man’s world for too long, but even more are supporting female sports and getting involved themselves. Because for Irish women, a love of sport isn’t something that’s going to evaporate any time soon.